Research findings for surname: Rucker of Amherst County, Virginia, for the period of 1751 – 1808. This information was extracted from various sources available at the LDS Family History Library, Salt Lake City, Utah. 30 Apr 1751 Moses Higginbotham to James Higginbotham for 5 schillings, 200 acres Buffalo branches adjoining to Rucker. Witness: Thomas Jefferson, John Higginbotham, Joseph Higginbotham. 4 Nov 1765 Daniel Burford, James Nevil, Cornelius Thomas, James Dillard, John Rucker, Ambrose Rucker, Benjamin Rucker and George McDaniel bonded for 100 pounds for Daniel Burford who was appointed sheriff by governor of colony 19 Oct 1765. 25 Mar 1768 Joseph Magann to Daniel Gaines for 130 pounds, 200 acres between Porridge and Harris Creek and joining Gaines’ land; also 2 slaves to ensure Gaines on bond. Witness: Benjamin Rucker, Anthony Rucker, Isaac Tinsley. 3 Jul 1769 Leonard Goff and wife Ann, Bedford, to Peter Rucker, John Rucker, Ambrose Rucker, Benjamin Rucker, Isaac Rucker, Anthony Rucker, Sarah Marr, Wineford Lee, Mildred Ham, Phebe Rucker for 50 pounds, 100 acres. Lines: John Burford, Rucker’s Run, drinking corner in John Burford’s line. 6 Oct 1769 Peter Rucker, Orange County, to Benjamin Rucker for 32 pounds, 10 schillings, 526 acres. Lines: Benjamin Rucker, Rose’s patent. Witness: Ezekiel Remedy, Anthony Rucker, Ambrose Rucker. 5 Mar 1770 Joseph Magann to William Garland for 10 pounds, 30 acres Harris Creek and part of Magann’s Ordinary now stands. Lines: Gaines, Rucker. 28 May 1770 George Jefferson, Pittsylvania, to Benjamin Rucker for 65 pounds, 200 acres on Stovall Creek. Witness: Anthony Rucker, James Franklin, John Hardwick. 12 Jul 1770 William Staton to Christopher Lynch, Bedford for 5 schillings, 59 acres and part of 400 bought by Staton of Roland Horsley Birks on the bank of Harris Creek. Lines: Wailes, band of Fluvanna. Witness: George Stovall, Jr, Benjamin Rucker, Anthony Rucker, James Franklin. Note: James Franklin is the Captain of the company that George Reed belongs to when he dies in 1777. 8 Sep 1770 George Jefferson, Pittsylvania to Samuel Bailey for 15 pounds, 180 acres Stoval’s Creek. Lines: Benjamin Rucker. Witness: Benjamin Rucker, Joseph Crews, John Hardwick, William Fowler. 8 Sep 1770 George Jefferson, Pittsylvania to Joseph Crews for 50 pounds, 461 acres Stoval’s Creek. Lines: Samuel Bailey. Witness: Benjamin Rucker, William Willis, John Hardwick, Samuel Bailey, William Fowler. 3 Dec 1770 John Tuggle, Jr to Abraham Seay, Jr for 35 pounds, 98 acres on Rucker’s Run. Lines: Col. Lomax. 5 Nov 1777 Commission to Ambrose Rucker and Benjamin Rucker to quiz Nancy Jones, wife of Richard Jones as to deed of 10 Oct 1775 to Jacob Cooley for 100 acres. 7 Mar 1778 Richard Goodwin, John Goodwin and Mary Goodwin to William Lee for 100 pounds, 105 acres Harris Creek. Witness: John Dawson, William Guttry, John Merritt. Committee to quiz Mary Goodwin, wife of John done 31 Oct 1778 by Daniel Gaines and Benjamin Rucker. 4 May 1778 Isaac Rucker recommended as Second Lieutenant. 20 May 1780 Joseph Crews to Joseph Mayo, Powhatan for 6000 pounds, 331 acres middle fork of Stovall Creek. Lines: Benjamin Rucker, Stoval, Robert Johnson. Witness: Charles Christian Jr, James Dillard, Jr, George Christian, Elijah Christian, John Whittle. 7 Aug 1780 Stephen Ham to James Hill for 500 pounds, 268 acres. Lines: Rucker. 22 Jan 1781 Peter Rucker, James Rucker as exrs of John Rucker, dec’d, Alexander Marr, Ambrose Rucker, John Lea, Benjamin Rucker, Isaac Rucker, Anthony Rucker, Stephen Ham and James Morton to Anthony Rucker for 65 pounds, 100 acres. Lines: Isaac Rucker, Drinking corner. Witness: John Rucker, Ambrose Rucker, William Rucker, George Gilbert for James Rucker, Isaac Tinsley for Isaac Rucker. 1 Oct 1781 Joseph Crews to Stephen Ham for 5770 pounds tobacco, 200 acres. Lines: Stovall’s old pat. line; at lower end; crossing creek. Witness: Benjamin Rucker, Isaac Rucker, John Turner, Benammi Stone. 1 Oct 1781 Charles Davis to John Sale for 300 pounds, two tracts. 1) 400 acres on Davis Mill Creek. 2) 124 acres. Lines: Cornelius Thomas, Nathaniel Davis, Hugh Morris. Witness: George Christian, Ambrose Rucker, David Crawford, George Phillips, James Franklin, J.H. Morrison. 1 Oct 1781 William Whitsett to Charles Stewart for 60 pounds 100 acres. Lines: Col. Daniel Gaines, Joseph Crews, James McNeese. Witness: Benammi Stone, Benjamin Rucker, Isaac Rucker. Note: Whitsett was the owner of what was to become Sweet Briar College many years later. The beautiful home of the president is known as Sweet Briar House. 1 Oct 1781 William Whitsett to Joseph Crews for 500 pounds, 500 acres branch of Rutledge. Lines: Col. Daniel Gaines, James McNees, John McDonald, James McNees, Jr, George Gilbert, Wiatt Powee, Jones’ orphans, Joseph May. Witness: Benjamin Rucker, Isaac Rucker, Charles Stewart, John Turner, Benammi Stone. 15 Feb 1782 Edward Tinsley to John McDaniel for 50 pounds, 126 acres which grantor bought of James White, dec’d. Lines: James Thomas, John Davies, John McDaniel, Benammi Stone, James Morton, Edmond Winston. Witness: David Tinsley, William Galt, Joshua Tinsley, Ambrose Rucker, George McDaniel. May 1783 Daniel Gaines and wife Mary to Jeremiah Taylor for 100 pounds, 124 acres Harris Creek and Rutledge and part of where Gaines lives. Lines: Gaines, Rucker. Witness: Richard Taliferro, Richard Fulcher, Levi Badlock, John Stewart. 14 May 1783 John DePriest and wife Elizabeth to William Powell, for 30,000 pounds of tobacco, 400 acres both sides Rucker’s Run, South Fork. Lines: Edmond Wilcox, Lucas Powell, James Wills, James Thompson. 26 May 1783 Commission to quiz Margaret McDaniel, wife of George McDaniel as to deed conveying 54 acres on Tobacco Row Mountain to Drury Tucker. Done 9 June 1783 by Ambrose and Benjamin Rucker. 6 Oct 1783 John Jopling, Burk Co, North Carolina to John Edmonds for 1250 pounds and likely young black “mair”, 500 acres south side Berry’s Mountain. Part of 2000 acres patented to Samuel Spencer, Sr 10 Sep 1755. Lines: South side and joining Rucker’s Run. Witness: James Pamplin, William Horlsey, John Penn, Matthew Tucker, William Coffey. 5 Nov 1783 Josias Gilbert to Benjamin Rucker for 172 pounds, 172 acres at confluence of Crooked Run with Rutledge and adjoining Higginbotham. 10 Feb 1784 John Stewart to Benjamin Rucker for 251 pounds, 200 acres fork of Rutledge and Crooked Run. Lines: William Chappell on Lynch’s Road; Joseph Mays to Crooked run. Ann, wife of Stewart. Witness: Wiatt Powell, Isaac and Anthany Rucker. 14 Oct 1784 William Goode, Powhatan County, to Ambrose Rucker for 300 pounds, 400 acres on Rockey Creek of Buffalo. Lines: Matthew Whittle, John Warren, James Warren. Witness: Thomas Powell, minor, James Lively, William Ware, John Richardson. 1 Nov 1784 Mauris Gilbert to Benjamin Rucker for 175 pounds, 470 acres south branch Rutledge and Buffalo. Part of 1100 acres belonging to Henry Gilbert, dec’d. Lines: Richard Gatewood, Park’s road, Megginson’s road, Henry Gilbert. Witness: Thomas Powell, minor, Richard Harrison, Wiatt Powell, Martin Dawson. 13 Dec 1784 Daniel Gaines to Hugh Rose, Charles Irving of Albemarle, Gabriel Penn, James Franklin 10 schillings, deed of trust of 14 May 1783, debt of Gaines to Gabiel Penn for 4960 pounds tobacco and smaller debt; also debt due John Wiatt and Company for dealings at store in Amherst, (Gabriel Penn is partner) to secure the above bondsmen on bond payable to John Hook, Bedford on Amherst judgement in Assignee of J. Jones vs Gaines, bond payable to James Manees; also bond due Samuel Meredith, land known as Old House Lot of 606 acres. Lines: Jerermiah Taylor, James Hill, Henry Bell, John Stewart, Charles Irvin; also Crooked Run lot of 175 acres. Lines: Joseph Mays, Benjamin Rucker, Joseph Higginbotham, John Stewart, Charles Irving, Crooked Run Lot; also 92 acres on Mooley’s Mountain and patented 13 Mar 1781; also thirty slaves, named; stock, tools, furniture, crops. Witness: William Sydney Crawford, Lindsey Coleman, Richard Oglesby, Joseph Burress. 24 Apr 1786 Philip Burton and wife Jancy to Joseph Burrus for 400 pounds, 400 acres Buffalo. Lines: Matthew Tucker, Huff Creek. Order to Ambrose and Benjamin Rucker to quiz Jancy. 9 Aug 1787 Thomas Lucas to Ambrose Rucker for 300 pounds, 683 acres Harris Creek. Lines: Collins. Witness: John and Thomas Wiatt, Joseph Galbraith, James Cary, Gideon Crews. 30 Oct 1787 Thomas Cooper and wife Sarah, Henry County to Benjamin Rucker for 210 pounds, 320 acres Stovall’s Creek. Lines: John Scott, north side of Main Creek, Benjamin Rucker, north fork Stovall. Witness: Thomas Rucker, Ambrose Rucker, Anthony Rucker, Joseph Crews, Jr.
5 Nov 1787 Elijah Christian and wife Elizabeth to Joell Campbell for 350 pounds, 400 acres branch of Rockey Run of Buffalo. Lines: Ambrose Rucker Jr, Sackville King, John Wingfield, and where grantor now lives. Witness: Charles Christian, Pleasant Martin, James Hill, Laurence Campbell. 1789 Thomas Cooper of Henry County to Benjamin Rucker, for 50 pounds, 200 acres north side and south fork Stovall Creek. Lines: Bottom of Mayo path, Posum Island road. Witness: Anthony Rucker, Thomas Rucker, Gideon and Sophia Rucker. 9 Jan 1790 George Lee and wife Elizabeth to John Ambler, James City for 600 pounds, 585 acres Harris Creek, bought by grantor of Daniel Harvie. Lines: Norht side Harris, Joseph Penn, grantor. Witness: Alexander Bryndie, William Sydney Crawford, Joel Franklin, George Penn, Frank Lee. Plat shows lines of Wilsher, Col. Rucker, John Harvey. 29 Mar 1790 William Damron and wife Susannah to Thomas Anderson for 40 pounds, 56 acres Harris Creek, west side Lynch road. Lines: Noel Blankenship, Michael Rower, Benjamin Rucker, a late survey of Damron, Lynch Road. Witness: Charles Christian, Noel Blankenship, John Carter, Daniel Mehone, Thomas Coleman, Joseph Wilson. 5 Sep 1790 John Stewart and wife Mourning to Benammie Stone, for 468 pounds, 6 schillings, 8 pence, 471 acres Rutledge Creek – bought by grantor of Capt. Gilbert’s exrs. Lines: Parks’ road, Crooked Run a small branch, Benjamin Rucker, Benjamin Miles. 7 Sep 1790 Hugh Rose and wife Caroline Matilda, to Thomas Llewellyn Leehmen(Mere?) Wall for 50 pounds, 50 acres south branch Tye and Stovall’s road. Part of grantor’s tract. Lines: Stovall;s old road, Col. William Cabell, crossing Camp Creek, Stovall’s new road – since continued by court order. Witness: Benjamin Rucker, Thomas Wortham, Robert Henry Rose, Charles Crawford. 19 Apr 1791 John Christian and wife, Judith to Charles Christian for 100 pounds, 420 acres South waters of buffalo. Part of tract bought by John Scott and John Nicholas. Lines: Megginson’s Ferry road, Notley Maddox, William Dillard, Peter Joiner, Ambrose Rucker, Charles Christian, Charles Wilsher, William Gatewood, dec’d, Charles Christian’s Milll pond a little above the mill. 9 Jun 1791 Lucas Powell and wife Elizabeth to William Johnson for 250 pounds, 297 acres Rucker’s Run – except 13 acres sold to John Innis. 2 Dec 1791 Samuel Bailey and wife Unity to Benjamin Rucker for 50 pounds, 180 acres Stovall Creek. Lines: Benjamin Rucker. 15 Oct 1792 Edward Harper and wife Fanny to Susanna Martin for 90 pounds, 314 acres branch of Stoval and Porrage Creeks. Lines: Joseph Higginbotham, Stovall Road, John Turner, Joseph Nicholas, Benjamin Rucker, Va Tucker, John Knight. Witness: P. Martin, John Thompson, William Griffin. 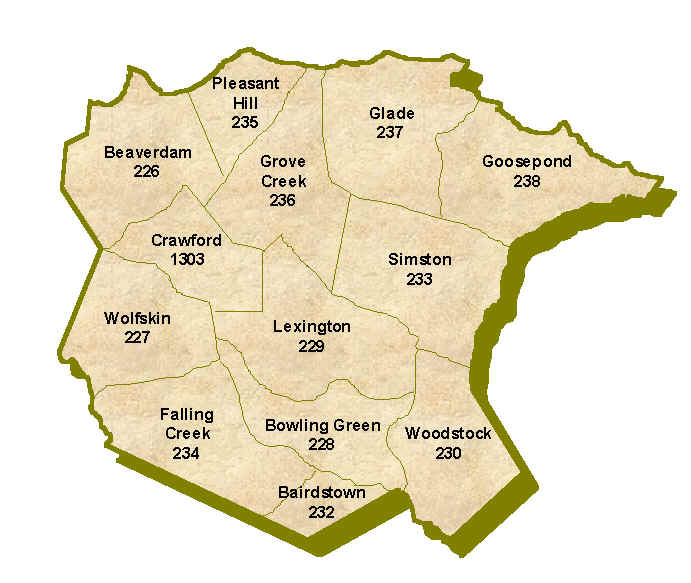 24 Aug 1793 Joseph Crews and wife Martha to Thomas Humphreys, Campbell County, 5 schillings. Continous to Lynch road leading from ferry of that name to the New Glasgow – about 6 miles from Madison – 83 acres. Lines: Robert Campbell, on east side of road, north by Abel Blankenship, William Damron, west by Benjamin Rucker, south by Daniel Burford, Jr. Witness: Nehemiah Roysel, Daniel Mehone, Nathaniel Guttry. 14 Sep 1793 John H Goodwin and wife Mary to Abraham Warren for 6 pounds, ½ acre north side of Lynch. Lines: James Lashell, Goodwin. Witness: Anthony Rucker, George McDaniel, Nehemiah Roysel, Peter Roysel. 15 Aug 1795 Isaac Rucker to Anthony Rucker for 4 pounds, 14 acres Harris Creek. Lines: Capt. 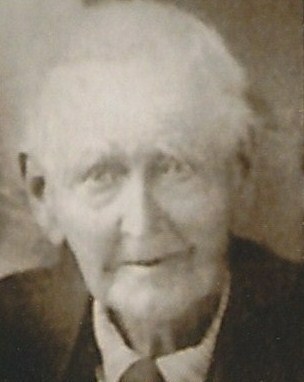 Benjamin Rucker. Witness: Richard Rucker, Elizabeth Rucker, and Patsy Rucker. 15 Aug 1795 Isaac Rucker to Anthony Ruckre for 104 pounds, 104 acres Harris Creek. Lines: Tinsley. Witness: Richard Rucker, Elizabeth Rucker, Patsy Rucker. 21 Mar 1796 James Crews to George Dillard, Deed of Trust. James Crews owes Hart Brown & Company, Lynchberg, Campbell County, 49 pounds, 10 schillings. 72 acres. Lines: Joseph Dawson, William Hughes, James Lee, John Burford, Sr, Harrison Hughes. Witness: Samuel Read, John Brown, James Stuart, Walter Irvine, James Lee. 22 Mar 1796 Joseph Mayo Sr, Powhatan to Thomas Bragg for 225 pounds, 331 acres Middle fork Stovall. Lines: Robert Johns, Benjamin Rucker. Witness: Joseph Burrus, Joseph Dillard, James Dillard, George Dillard. 18 Apr 1796 Thomas Bragg and wife Lucy to Thomas Rucker for 315 pounds, 350 acres Stovall Creek. Lines: Benjamin Rucker. Witness: John Wingfield, Elizabeth Snelson, Charles Christian. 12 Sep 1796 Thomas Anderson and wife Elizabeth to Robert Robinson, for 60 pounds, 26 acres both sides Lynch Road. Lines: Robert Campbell, Benjamin Rucker, Garland, John Knight, Able Blankenship. Witness: James Lashell, Philip Johnson, Reuben Taylor, Michael Coalter, Henry Brown. 16 Dec 1796 Benjamin Plunkett and wife Frances, Campbell County to Maddison Hill for 88 pounds, 177 acres south branches Stovall Creek. Lines: Benjamin Rucker, Thomas Johns, south bank Wolf Branch, Thomas Ricketts. Witness: John Wingfield, Charles Wingfield, Stephen Robinson. Bondsman: Isaac and Reuben Rucker, William Turner, Benammi Stone. Witnesses: John Cooney, Richard Rucker, Armistead Rucker, Anthony Rucker. We do not have a record of a transaction involving those individuals in our files. Perhaps that record would exist in the Amherst County land records yet to be digitized. The Amherst County Clerk may be willing to assist in a search of the local records on file. There are also some records dating to that period at the Amherst County Museum.